For decades, Saudi Arabia has managed to maintain stability despite internal power struggles. Even in times of crisis that included the overthrow of a king, or the assassination of his heir, the Sunni kingdom seemed to remain in orbit. Now it seems that internal rivalries are pushing Saudi Arabia into a road map that could destabilize the Middle East. 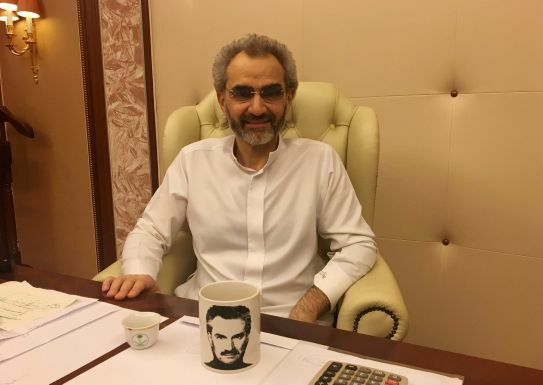 According to estimates, Crown Prince Ben Salman will survive, the question is who will be harmed in the struggle. Meanwhile, commentators warn that paranoia at the top is already reminiscent of Saddam Hussein's Baghdad. 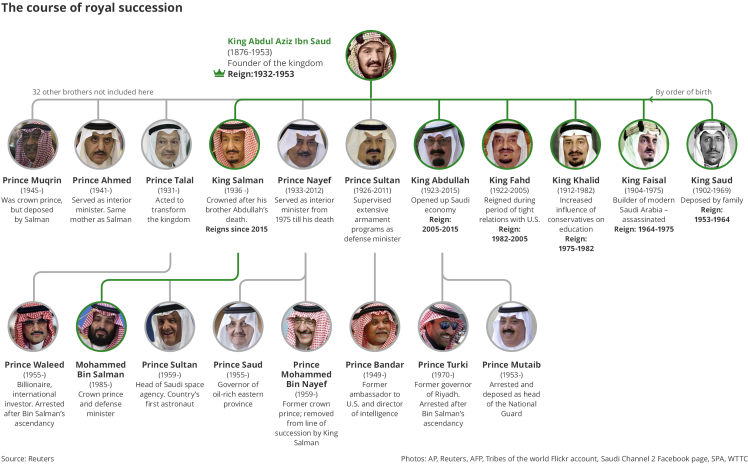 The traditional Saudi system determines that succession passes between brothers, namely, among the sons of the kingdom’s founder Abdulaziz Ibn Saud. The system served its purpose well, but was changed in 2007, when King Abdullah set up an Allegiance Council, a family forum with the authority to choose the crown prince and appoint the next king. Abdullah, however, did not implement his own decision and instead picked two crown princes on his own – his brothers Prince Sultan and Prince Nayef, each of whom died of natural causes before having the opportunity to head the dynasty. Abdullah’s decision to change the system of succession, followed by his decision to appoint Prince Muqrin as deputy prime minister – which traditionally serves as a springboard to becoming king – angered the Sudairi wing of the royal family. These are the sons of Princess Hussa bint Ahmed Al Sudairi, one of the more prominent wives of founder King Ibn Saud. These princes felt that King Abdullah was trying to push them away from power, while strengthening other factions of the royal family. As the aging king approached death, the conflict simmering under the surface only intensified. When Abdullah died in January 2015, Salman of the Sudairi faction was declared king. His camp rushed to act against the rest of the family, with Salman quickly firing the sons of the dead king from their posts as governors of Mecca and Riyadh. Later, other senior officials in the court were dismissed as well, with Crown Prince Muqrin losing his place in the line of succession. The next in line to be king, according to the old system, was Prince Ahmed, who went into voluntary exile in London. After two years of turmoil in the kingdom, from King Abdullah’s death to the beginning of 2017, Salman’s son Mohammed became crown prince in an uncustomary move. King Salman and his son Mohammed seemed to be on a secure path to removing their rivals from positions of power – that is, until the Khashoggi affair blew up. Several royal family members smelled an opportunity to get rid of King Salman and cut his son down to a size in the wake of international condemnation of the murder of the journalist by Saudi government agents. Forming a bloc of allies promoting honest governance, these members recently issued a statement supporting Prince Ahmed, the king’s brother, who has returned to the kingdom, and called for him to head the country until the Saudi people decide its future. This was the first open show of opposition within the Saudi royal family, some of whom believed that Crown Prince Mohammed's conduct was pushing Saudi Arabia toward an uncustomary confrontation with Western countries. But those calling for Mohammed to be replaced could find themselves in danger. After all, the crown prince has already proven his readiness to break the rules when confronting rivals, by arresting dozens of princes and businessmen and extorting their money in exchange for their release. Members of the royal opposition to Mohammed know they are taking a risk. As far as is known, the leaders of the army and intelligence services, appointed by Mohammed last year, are standing by him. He also enjoys the almost unreserved support of U.S. President Donald Trump. Moreover, the prince can rely on the backing of the royal family’s younger generation, many of whom are frustrated by the repeated appointments of old, sick men as kings, and have been demanding that rulers be selected from their generation. At 33, Mohammed bin Salman represents this generation. On the other hand, he also represents a branch of the family that is not particularly liked by other branches that feel excluded from senior government. Any attempt to remove Crown Prince Mohammed from power will be viewed by him as a rebellious and treasonous act that violates family tradition, as much as such tradition exists. It’s clear to everyone that such an attempt will be enough for him to embark on an extensive campaign of purges against his rivals, with unpredictable consequences for Saudi Arabia and its relations with the world. Mohammed is now making immense efforts to escape unscathed from the Khashoggi affair, but he’s become a vulnerable prince, in a family that so far has shown no forgiveness for kings and princes who err. It’s possible that for the family, he’s committed one error too many.